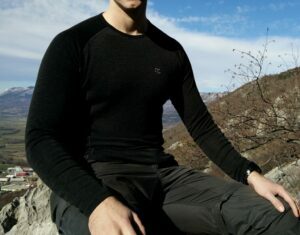 Base layers made of Merino wool are very popular among hikers, mountaineers and other outdoor enthusiasts as they offer superb temperature regulation, breathability, odor-control, UV protection and moisture-wicking properties. Unlike regular wool, Merino wool is really soft and pleasant to the touch and thus doesn’t cause any itching or other discomfort. Many hikers face a dilemma when buying base layers; should I go with the Merino wool or synthetic fabrics? Merino wool has some immense advantages in comparison to the synthetic fabrics. It is better at temperature regulation, provides warmth even when wet and offers much better odor-control – which isn’t washed out eventually unlike synthetic fabrics treated to have anti-odor properties. But synthetic fabrics also have some advantages – like being lighter, absorbing less moisture and drying faster. Regarding comfort it’s my personal opinion that the Merino wool is more comfortable than the synthetic fabrics as it feels more “natural”. 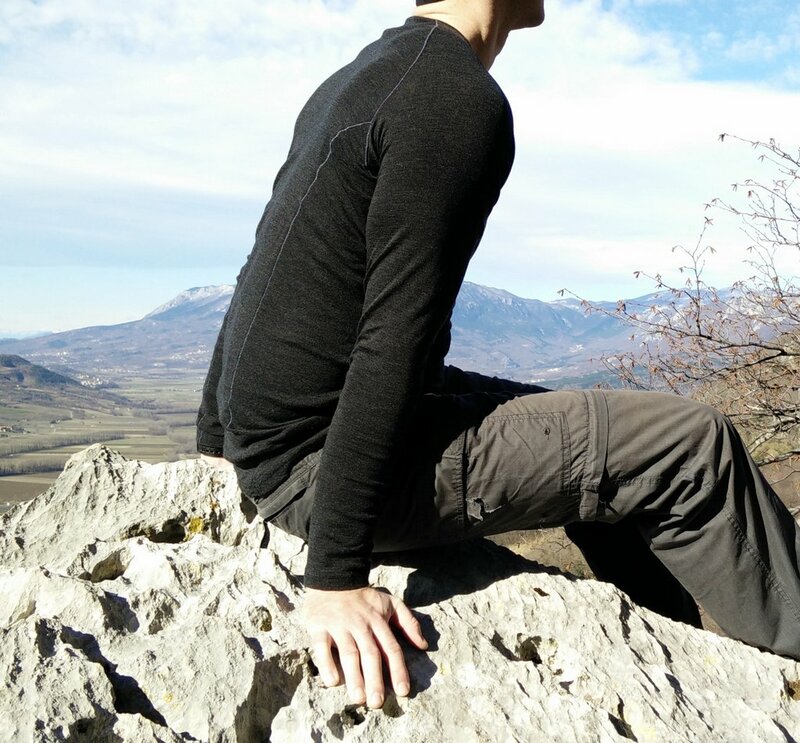 Approximately one month ago I received the WoolPro Agena Merino wool long sleeve t-shirt and I was eager to test it on the Gradiska Tura (via ferrata) trip. As the temperatures on this trip were relatively high (13 C) I was especially interested in the performance of this t-shirt in warmer weather – Merino wool is known for offering great performance in both warm and cold conditions. Here is what I learned about the WoolPro Agena. The WoolPro Agena is made of 100% extrafine Merino wool. Extrafine means that the width of each wool thread is between 18.5 and 19.5 microns in diameter. In general the Merino wool diameter varies from 24 microns to 17 microns and the lower the number the softer is the wool. The Agena uses Merino wool with the density of 195g/m3 which is a great compromise between weight and the warmth. It is no surprise that the material is extremely soft and offers superb antimicrobial and moisture-wicking properties, temperature-regulation and breathability. The WoolPro Agena is designed to be worn as a base layer but can also function as a stand-alone shirt in warm conditions. 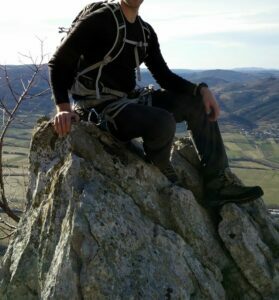 On my via ferrata trip I first used the shirt on its own and then as a base layer higher up on the mountain as I put another Merino wool sweater over it. 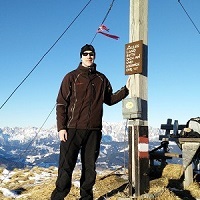 I would say that the minimum temperature for comfortable use as a stand-alone shirt is around 12 C – if the weather is sunny and there is no wind. 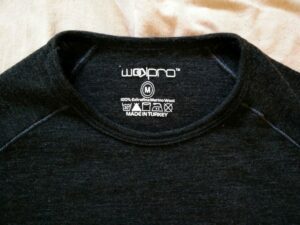 I was also very surprised that the WoolPro Agena is relatively stretchy unlike the other Merino base layers that I have. This is indeed a great benefit as it assures good fit and allows great freedom of movement. The stretch of the shirt is enhanced by the ActiveSeam stitches which do not only offer two times more stretch than standard flatlock seams, but are also 30% stronger. 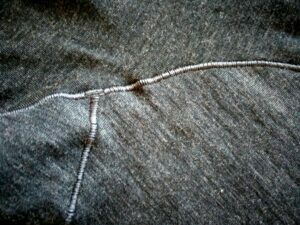 However, the ActiveSeam stitches do have one disadvantage as they are “felt” more than flatlock seams when wearing the shirt. Nevertheless, the shirt is still very comfortable to wear. I was also really surprised over the excellent odor control. After the hike the shirt was soaked with sweat but I decided not to wash it till the next day – and here I couldn’t detect any signs of odor which I indeed find amazing. The shirt is really comfortable to wear – both as base layer and as stand-alone shirt. The fit is relatively tight but as the shirt is stretchy, it doesn’t restrict movement. 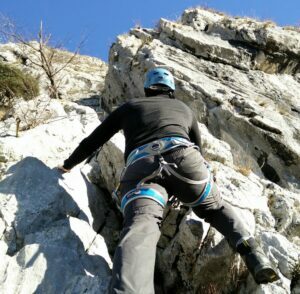 When climbing on via ferrata trip I felt that the shirt really fits well and that it didn’t restrict me when reaching for the holds. The interior label is printed in order to prevent any rubbing or chaffing. The shirt also has an embroidered logo on the front left side which makes it look quite stylish. 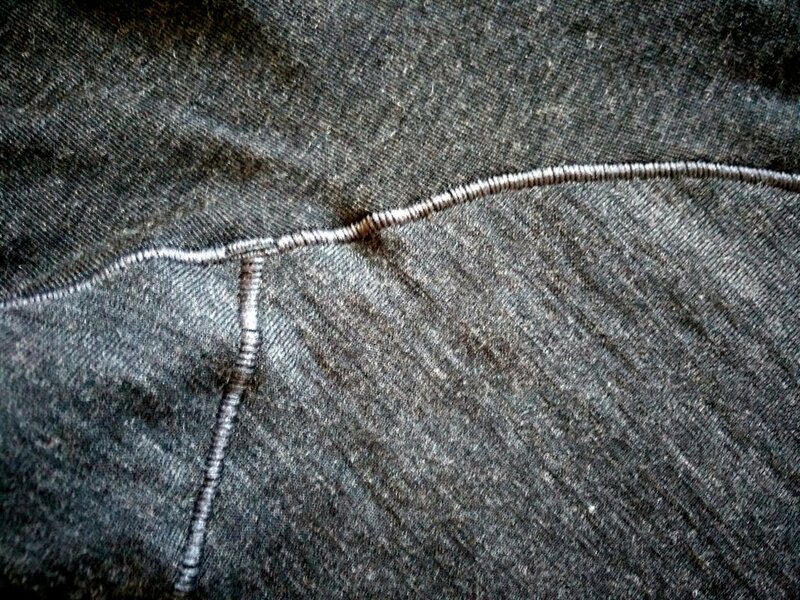 At the bottom of the shirt there is a fairly loose elastic which prevents heat loss. 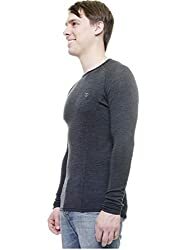 The neckline is a bit lower than on other base layer shirts that I have. This was perfect for the rather warm weather on my via ferrata trip but might be a disadvantage in cold weather. However, the height of the neckline will depend on your respective body composition and sizing. All in all I think that the WoolPro Agena meets the standards of most hikers, trekkers, mountaineers and other outdoorsmen. It’s comfortable, functional and fits great. In general Merino wool clothing takes longer to dry than synthetic clothing. However, this is not really an issue as the Merino wool provides warmth even when wet. After the hike my WoolPro Agena was soaked with sweat and as I didn’t have an extra shirt with me I kept it on while driving home. When I arrived home (after approximately 1 hour) the shirt was completely dry. In addition to that the shirt provided great warmth while drying on my body. Many Merino wool garments can only be washed in cold water. The WoolPro Agena however can be washed on 30 C in the washing machine. This is indeed a great benefit as it allows you to wash it together with other synthetic clothing that you use for hiking. 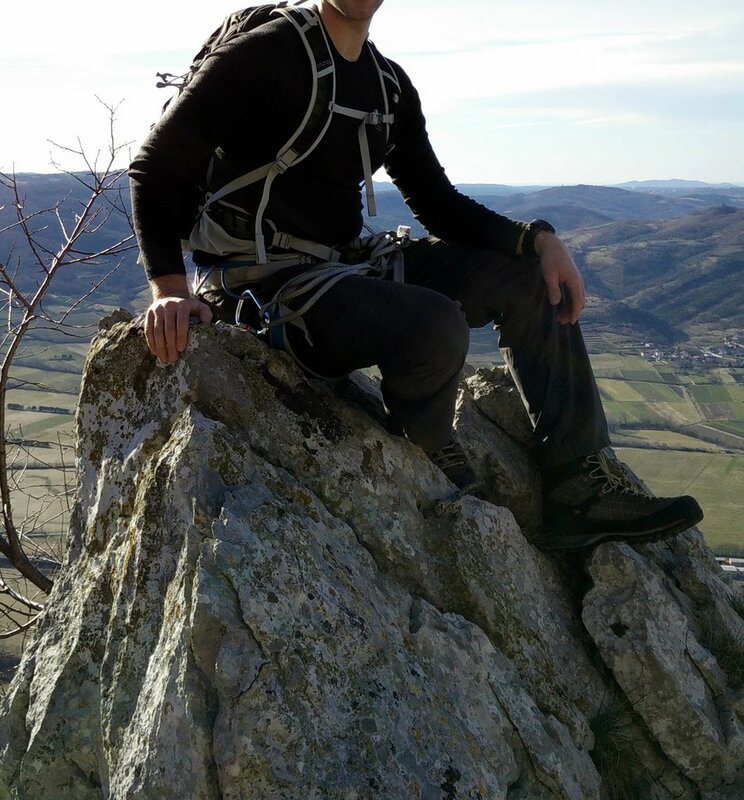 I wore the shirt on Gradiska Tura trail (via ferrata) for the first time. The shirt kept me warm throughout the hike. When I was approaching the top of the mountain I had to put my Merino mid layer over it as the temperatures were much lower there. The product performed great both as a stand-alone shirt and as a base layer – it successfully maintained my body’s natural temperature even though it was soaked with sweat. I think that the WoolPro Agena offers great performance and comfort and thus I would recommend it to every outdoorsman who wants a high-quality base layer for his adventures.